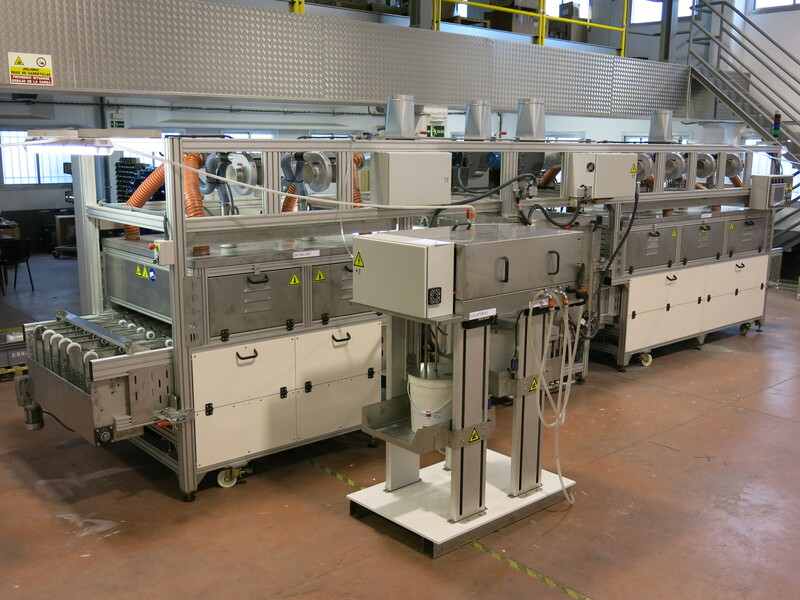 Reviriego Industries is a Spanish company dedicated to the design and manufacture of complex machinery for industry, especially Paint Flux Machines (PFM). Our internal name for Paint Flux Machines (PFM) is also DFD, because of the process: Degreasing,Fluxing,Drying (DFD). The core team of Industrias Reviriego has been involved in design of Paint-F-Flux application machinery for more than 15 years. We realized the benefits offered by Paint-F-Flux technology from the beginning . There was a clear need for reliable, repeatable paint flux equipment. We identified the challenges and have worked closely with Solvay (formerly Flux brazing) in an on going effort to offer our customers market leading paint flux systems. Our systems are constantly updated with innovative solutions to meet and satisfy our customers needs.